I liked this book and it had a lot of information but it's was lacking something for me. There are a lot of sources in this book that he uses including scientific research but, there a lot of conclusions drawn between certain causal relationships that were not backed with scientific evidence. He would talk about confounding variables for pro-animal product studies, but then draw conclusions that disregarded possible variables from other studies. My food bible for years has been It Starts With Food and I found this book similar. It was surprising to me how similar the two philosophies are. Did it work? 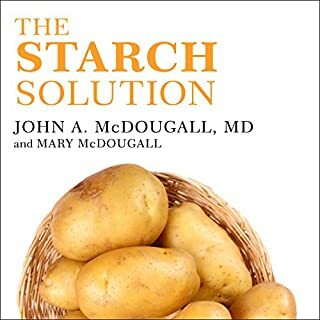 yes I tried the starch solution plan over the last week and have lost 5 lb so I guess it works. It was also rediculously easy to follow. I had no cravings and my body easily adjusted. My grocery bill was also rediculously small. I'm talking $25 for a whole week in Los Angeles. I can see myself continuing for the foreseeable future. 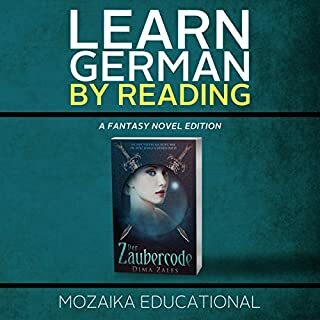 I would recommend this book to anyone who wants to work on their German language skills. After not practicing German for a couple of years, I was having trouble in the first chapter, but luckily it was followed up by the English version! By chapter 5 my skills had come back considerably with almost full comprehension by the end of the book. One difference- I listened to the German, then English, then German chapter again, and then moved on to the next chapter. I fully enjoyed the story. It was easy to follow, and exciting. Have you listened to any of Lidia Buonfino and Emily Durante ’s other performances before? How does this one compare? The German performance is very good. The English version is slightly robotic sounding, but not distractingly so.